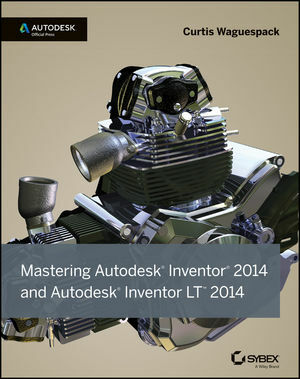 Curtis Waguespack, an Inventor Expert Elite and Autodesk Certified Instructor, has taught Inventor in the classroom and consulted with and supported manufacturing and design firms in industries ranging from aerospace to consumer products and industrial machinery. He uses Inventor daily in a real-world design and manufacturing environment and has designed a wide range of manufactured products, large and small, with Inventor. Curtis maintains the popular "From the Trenches" Inventor blog (inventortrenches.blogspot.com) and speaks at Autodesk University and other industry events.